A great house for one or two families, with a large garden and a stunning view from the terrace, nestled in quiet and picturesque countryside. 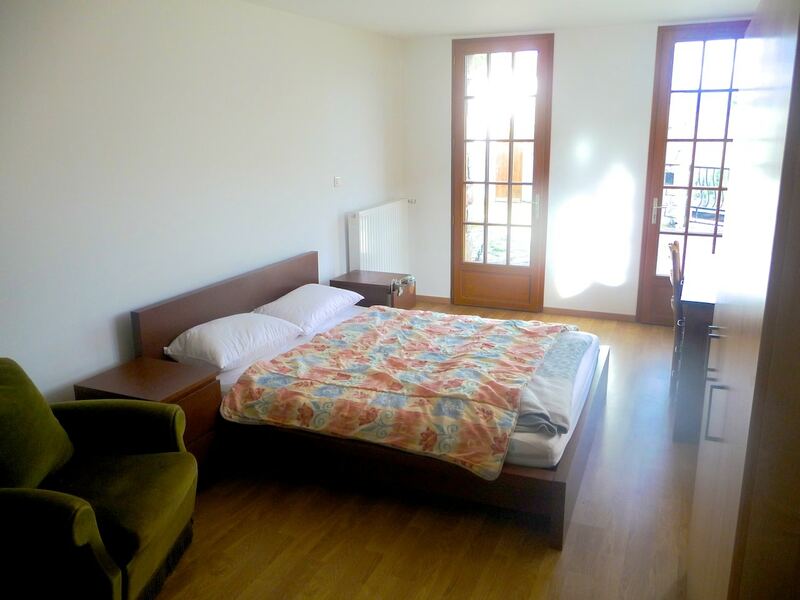 A large room with a king-sized bed. 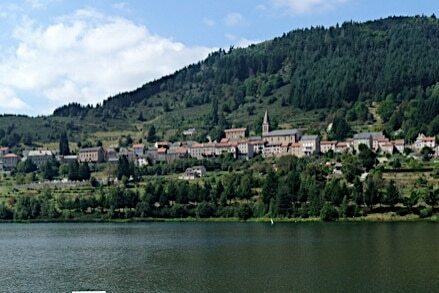 A beautiful town and lake with frequent events and good swimming. Chant-au-vent – comfortable self-catering accommodation (gîte) in the Ardèche, near to Le Cheylard. Lovely holiday home ideal for large families, with four bedrooms suiting up to 8 people plus an infant. 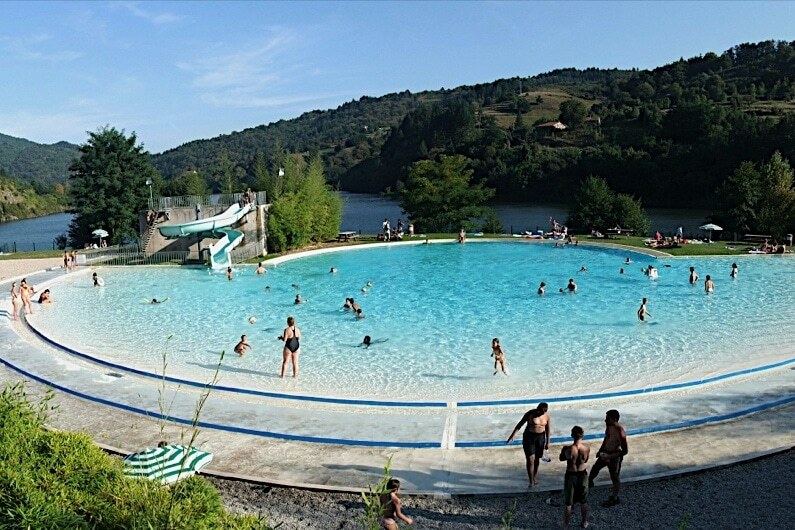 Chant-au-vent is a real home-away-from-home, yet nestled in the mountains of the Ardèche with stunning views. Chant-au-vent is set in over half an acre of gardens with an outdoor dining area and patio. Situated in the charming village of Accons, just outside the market town of Le Cheylard and within an easy drive of the source of the Loire at Mount Gerbier de Jonc, the spectacular waterfalls of Cascade Ray-Pic, and numerous chateaux, both standing and ruined, this accommodation is ideally located for visitors to enjoy everything the Ardèche has to offer. With excellent walking and outdoor pursuits close by, including cycling, climbing & swimming, Chant-au-vent is an ideal holiday base. Copyright © 2019 Chant-au-Vent All Rights Reserved.